Peel. Just the word can be intimidating. Scary, even. Fear not, gentle reader. You can treat yourself to an effective, skin rejuvenating peel safely, in the comfort of your own home in less than fifteen minutes. I have had this peel in my possession for quite some time and am just now writing about it because I wanted and needed to give it a good run before I spoke about it. Some skin care, I can post about, right away; other products, I need time with. I wanted to be sure that I was giving you a thorough and well considered review of this product. Combining Glycolic Acid, Micro Beads and Enzymes, the Ellen Lange Retexturizing Peel effectively and gently removes dull surface cells to reveal healthy, more youthful looking skin. Glycolic Acid can fade dark spots and acne marks, help to clear acne for some users, brighten the skin, temporarily firm and reduce the appearance of fine lines and wrinkles and it imparts a beautiful, radiant glow. 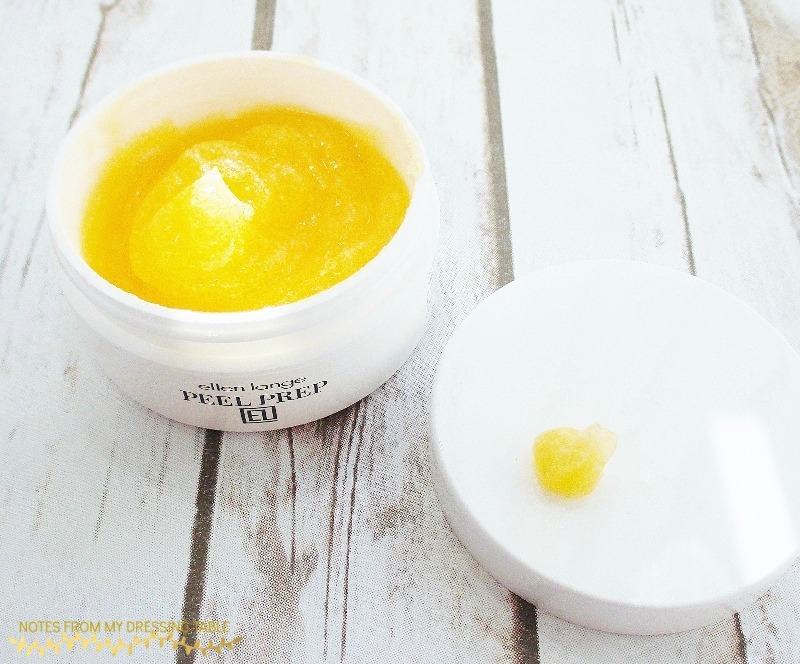 This peel is designed to be effective and appropriate for most skin types and for all skin tones. 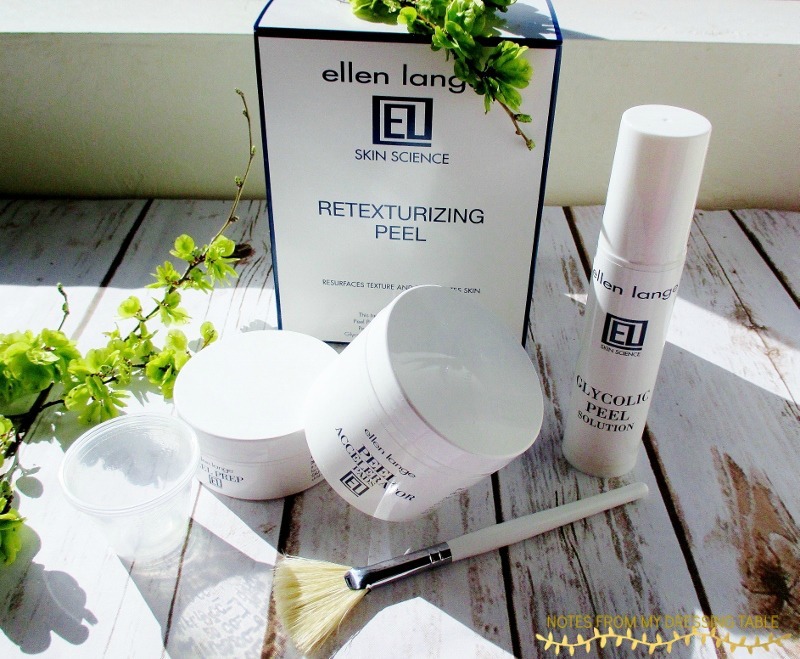 The Ellen Lange Retexturizing Skin Peel at home Facial Treatment Kit includes Peel Prep scrub, Peel Accelerator Pads, Glycolic Peel Solution, several small plastic, marked dispensing cups and an application brush. Ready to peel? It's easy as one, two, three. Step One: Peel Prep Enzyme Scrub. After cleansing, I dip up a bit of this orange, unscented gentle scrub and massage it into my skin in circular motions for 30 to 60 seconds. I scrub for the full minute because I need more exfoliation then I leave it on my skin for an additional 60 seconds then rinse. Step Two: Peel Accelerator Pads: I Gently wipe one of the textured pads across my entire face (avoiding my eyes and lips), to accelerate exfoliation and then let the solution dry, completely. I usually feel a little sting when using these pads. It isn't bad but I like to make it worse by scrubbing and shaving before I do my peel. I'm an idiot like that. Step Three: Glycolic Peel Solution. Here is where it gets good, kids. 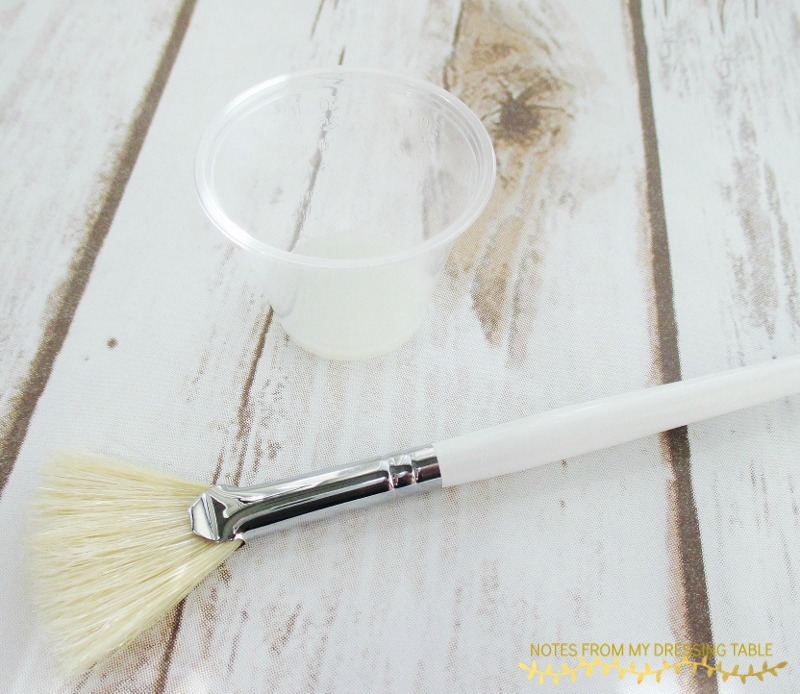 Pump (or in my case pour, thanks to a busted pump) one teaspoon of the Glycolic Peel Solution into a marked dispensing cup and, using the provided fan brush, stroke the solution all over my face (avoiding my eyes and lips, of course) and let it foam up and disperse. At this point, I am supposed to massage my face with damp fingers and let it foam up, again. I don't get the second foam, so I spray my face lightly with rosewater and apply a little more of the Glycolic Peel solution and let it foam, again. I let it then sit on my face an additional five minutes, then rinse. I gently pat my face dry and glory in my fresh, silken smooth, glowing complexion. My skin looks and feels like a New Thing for at least a week, after an Ellen Lange Retexturizing Peel. My skin care sinks in better, my makeup looks smoother and more flawless. I can often forgo foundation, altogether. Just correct and conceal my under eye area, hit any little spots that may need it with a little concealer and do eyes, cheeks and lips and feel confident to go anywhere or even take selfies and use one as a profile pic for a while. Okay, here comes the CAUTION part of this post. This peel is not intended for use if you are pregnant or nursing. If you are photosensitive don't use this peel. My freshly peeled skin is more sensitive to UV exposure so I make sure to protect my face with a high SPF mineral sunscreen and a big, floppy hat when I have to venture out in the sun. 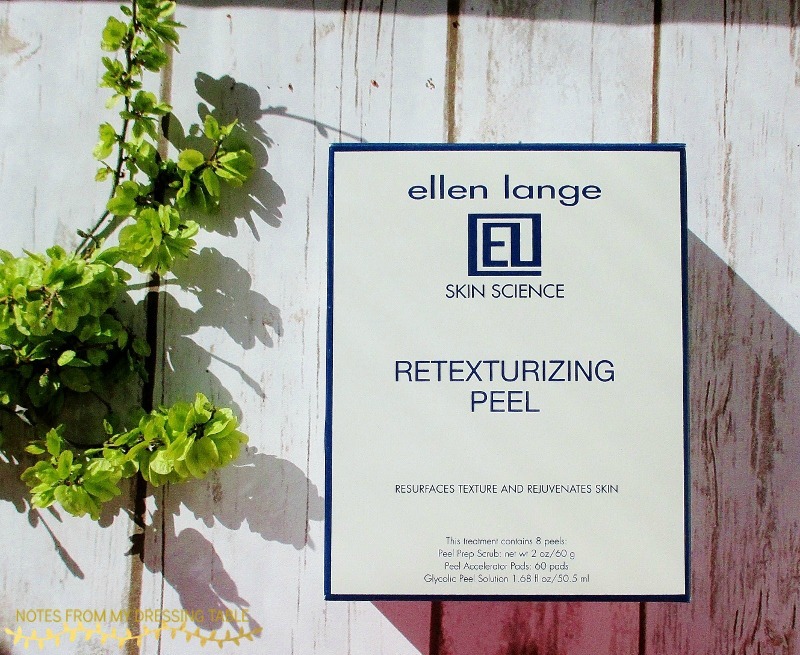 Are you are ready to try the Ellen Lange Retexturizing Peel for yourself? You can buy it directly from the website linked and from Amazon. Use my coupon code NOTES20 to save some clams when you purchase from the website! Connect socially on Facebook, Twitter and Instagram. 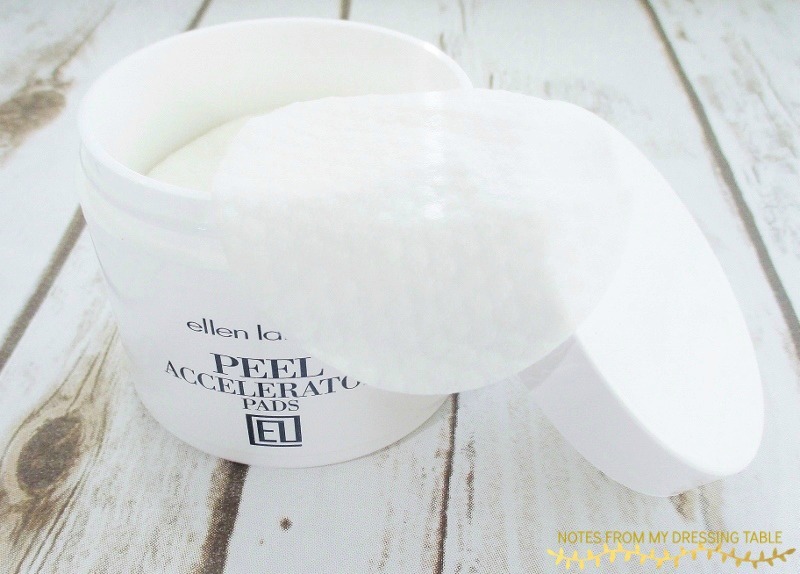 Ellen Lange Retexturizing Peel is free of gluten, barley, wheat and parabens and is cruelty free. I love this peel. It does incredible things for my complexion. I hope that you will give it a go and enjoy the benefits for your skin. If you decide to try this peel, hit me up on My Facebook Page or tag/message me on Twitter or Instagram and let me know how it worked for you.